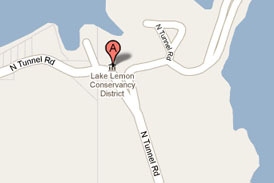 The Lake Lemon Conservancy District Board of Director’s Monthly Meeting dates for 2019 are as follows: Thursdays: January 24; March 28; April 25; May 23; September 26; October 24; and December 12. The LLCD Annual Meeting will be held on Thursday, February 28, 2019, 6:00 p.m. at the City of Bloomington Utilities Building. Saturdays: June 22, 10:00 A.M.; July 20, 10:00 A.M. ; August 24, 10:00 A.M.; Saturday meetings are located in the Riddle Point Park Shelter located at 7599 N. Tunnel Road, Unionville, IN 47468. The LLCD Board of Directors meet each month . All of these meetings are open to the public. Please contact the office for meeting dates and times. If you missed a meeting, be sure and review the meeting minutes found below. Minutes are not posted until approved by the LLCD Board of Directors. Therefore, minutes are not available until after the following month’s meeting. Please contact the office if you are interested in viewing copies of Board meeting minutes for 2002 – 2007. January 20, 2016 Board Meeting was canceled. All Agenda Items were moved to the February 3, 2016 Annual Meeting. The Digital Voice Recorder memory capacity was reached, and the remainder of the meeting was not stored.